This little larch was a part of a twin planting about 4yrs ago. 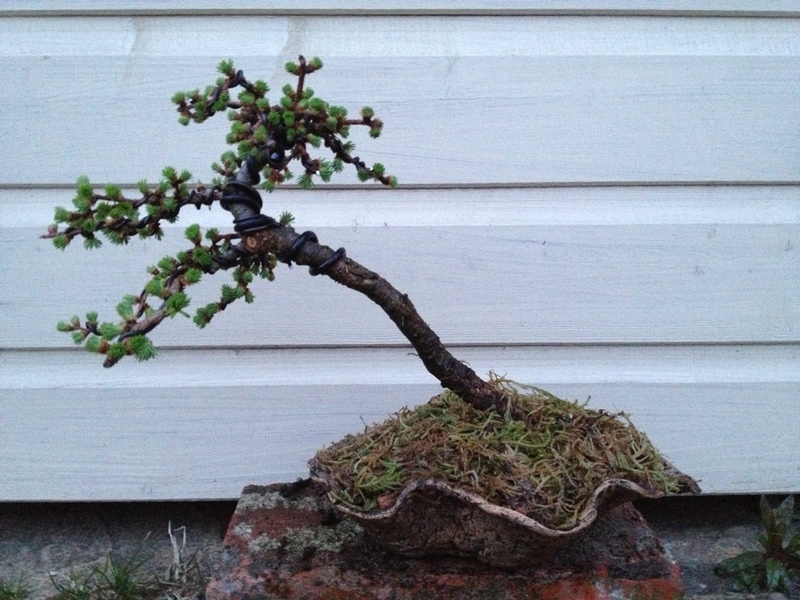 I split the trees and passed the second formal upright tree onto a member of our Club. This little one has been in a massive pot for the 3yrs and only now I’ve decided to style it and pot is into a smaller pot. I was surprised at how little root generation there was considering the size of its training pot. However this has enabled me to put it into this clamshell pot I bought 18months ago. 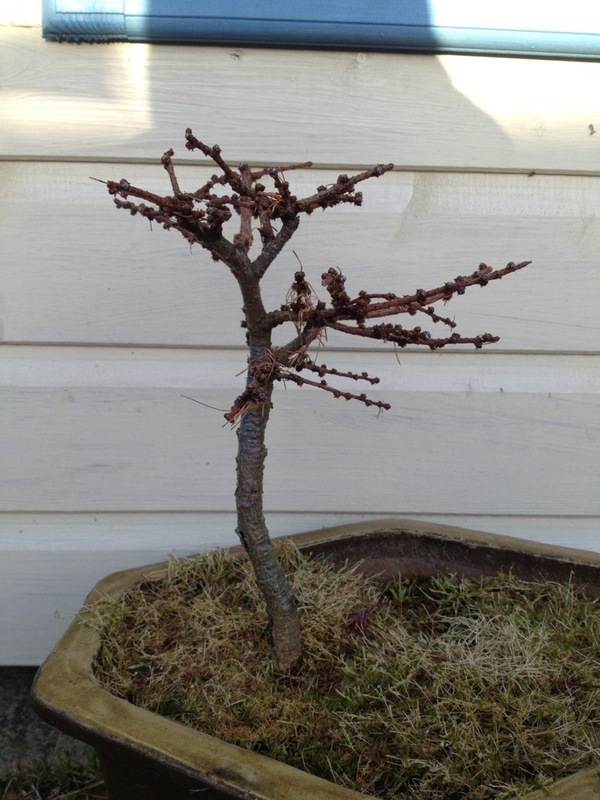 This entry was posted in My Trees and tagged Bonsai Larch shohin. Bookmark the permalink.